Turn toMedical Microbiology, 8th Editionfor athorough, clinically relevant understanding of microbes and their diseases. 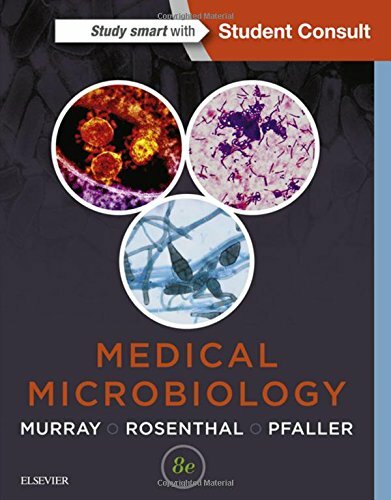 This succinct, easy-to-use text presents the fundamentals of microbiology and immunology in a clearly written, engaging manner―effectively preparing you for your courses, exams, and beyond. Review questions at the end of each chapter correlate basic science with clinical practice to help youunderstand the clinical relevance of the organisms examined. Summary tables and text boxes emphasizing essential concepts and learning issuesoptimize exam review. Additional images, 200 self-assessment questions, NEW animations,and more. Online access to the complete text, additional images, 200 self-assessment questions, NEW animations, and more is available through Student Consult.